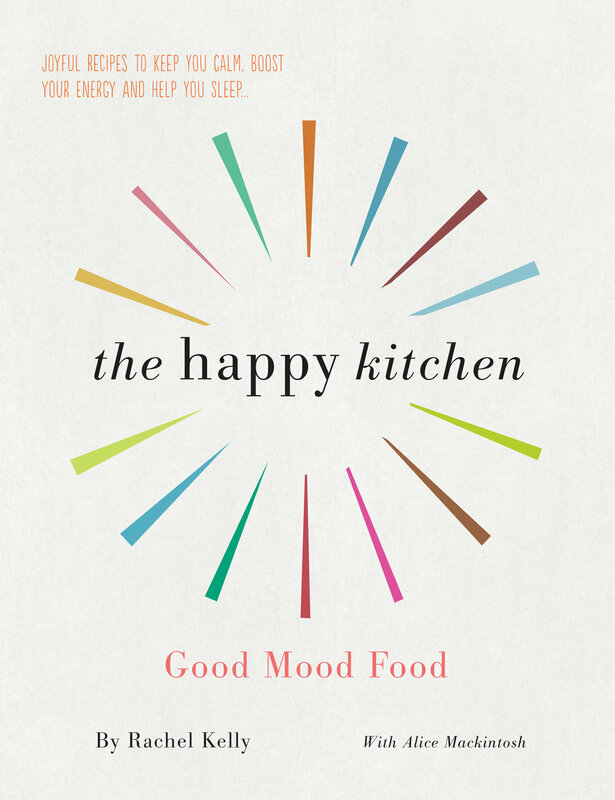 The Happy Kitchen is fantastic cookbook and resource for anyone who may be suffering from anxiety or depression and want to help alleviate some of the symptoms through their diet. The food we eat and the effect it has on both our mental and physical health is huge, as Rachel Kelly, the author of the Happy Kitchen can attest to. This wonderful book is about eating to stay calm and well. Together, over 5 years, Rachel and her nutritional therapist Alice Mackintosh have developed recipes that put around 150 nutritional studies into practice. They’ve helped Rachel to become more energised, less anxious, clearer thinking, more balanced and a better sleeper. Rachel and Alice have kindly shared the recipe for their delicious, decadent dark chocolate brownies. They spent ages perfecting these, ensuring that they were soft, rich and gooey in the centre. Though they are still a treat, you have more control over the ingredients as you are making them yourself. Spelt flour is wholegrain, meaning that it won’t lead to a sugar spike as white flour does, and Brazil nuts contain selenium which, as we have seen, plays an important role in the immune system. Cacao is a rich source of magnesium and antioxidants. 1. Preheat the oven to 190C. Grease a 30cm x 20cm brownie tin and line it with baking parchment. Leave the paper sticking up at the sides to make it easier to lift the brownies out when they are cooked. 1. What would you recommend is the best place to get started in terms of supporting employees with their healthy habits? Research shows that when you consider a person’s needs and values they are much more likely to be motivated to engage in a programme. So for example; running a quick survey, presenting staff with a list of options or even just having a brief chat with them to find out what the key issues that they are battling right now, what are their needs, and what are they interested in. Engaging them in the development process is key to a programme, and their own, long-term success. 2. What are the common traps people fall into when creating healthy habits and how to overcome them? What bad habits in general do you find people fall into? And how can they ensure they achieve their goals? Whilst our intentions this time of year are in the right place, all too often we try and do too much. We promise to go to the gym every day, cut down sugar, eat the perfect diet… the list goes on. These goals tend to put us under unnecessary pressure where we feel we have to make all of the positive changes at once and do them perfectly without any slip ups, otherwise it’s all been in vain. This isn’t effective and frankly it’s not an enjoyable way to live your life. The problem with this is, the more goals you try to achieve at once the less likely you are to succeed. This is known as goal dilution. Ultimately our willpower is a limited resource, think of it like a muscle; if you overuse it, it becomes fatigued and you end up not being able to exercise it at all. Hence why after a few weeks we tend to give in to temptation, stray from our goals and end up feeling like we are back at square one again. However if you train your willpower in adequate amounts, taking a rest when needed and not trying to do too much, building up over time, it, like a muscle grows stronger. What does this look like in practice? The best way to avoid diluting your goals, is to focus on one goal at a time and look to build consistent habits related to this goal. Overtime these habits will become easier and more automatic, then you can move on to tackling your next big goal. 3. How long does it take to make a new habit? Unfortunately, much longer than is commonly thought. 21 days is a myth! Research has found that this is highly dependent on the individual and can be anything between 66-122 days. The key with habit formation is consistency; the more often you repeat something in a given situation, the more likely it is that you will start to form a habit, healthy or non-healthy. The key here is to look at habit formation as a marathon not a sprint. The good news is, as time goes on, it gets easier rather than harder. The more consistent you are, the more likely it is that sustainable habits start to form and these will, through repetition eventually become automatic. So once a habit has been formed it's very hard to break it. 4. Why do you think people fail to achieve their weight loss goals? Weight loss is a complex issue hence why it tends to be so difficult for many. Often we are looking for the solution, the perfect diet, exercise programme, that silver bullet rather than examining the problem itself. Each individual has their own unique set of drivers that effect their behaviour. The key is peeling back the layers and looking at these drivers directly so we can break any negative cycles of behaviours and build some new healthier ones. For example, stress is a behavioural driver that can completely undermine a weight loss attempt. You can be doing all of the right things and then suddenly a highly stressful situation comes along and your healthy habits are out the window. Thus, learning how to cope with stress effectively so it doesn’t derail all the positives changes you have made is key. Low self-esteem can be another driver. Often people try and lose weight as they are unhappy with how they look, however if they veer off track they tend to be very hard on themselves and this can lead to negative self-talk which in turn lowers self-esteem and makes them more conscious of their weight, it’s a vicious cycle. Dieting is another reason that people fail at their weight loss goals. The feelings of restriction and deprivation that come along with an episode of dieting can negatively affect success. Researchers have even found that merely telling people they are going on a diet the following week caused them to overcompensate and eat significantly more than others who were not told that they were going on a diet. Simply using the word diet conjures up all sorts of feelings of deprivation – images of surviving on lettuce leaves in addition to gruelling daily workouts. The problem with this is not only is it miserable long-term, it will not get you the results you need. 5. What can people do to ensure they stay on the road to success? In terms of forming healthy habits and making sure they stick, do you have any tips or advice you can share on this? In 2005, a group of researchers studied 5000 individuals who have successfully lost and maintained a significant amount of weight over at least 5 years. This research demonstrated that there was no single method that worked best for long term success. There were no individual genetic characteristics or personality types that contributed towards these peoples success. There was no particular diet that these people used that was any better than another. In actual fact no two people in this group of 5,000 lost weight in the same way! What the researchers found was that through trial and error these successful individuals had each honed their own system for success. They found a particular set of habits that worked best for them, and if they executed these habits consistently it lead to their ongoing success. In other words, the study showed that the key to long term success is ultimately about finding out what works for you. Finding your own unique system of habits. In support of this, researchers at Duke University found that habits account for about 40% of our behaviours on any given day. The key is to develop a system of habits that works within the constraints of your lifestyle that will support you in achieving your weight loss goals. The 5,000 successful weight loss maintainers got to where they are today not through punishment and restriction but through trial and error. You can start to experiment by making small but consistently healthy changes to your lifestyle. Focusing on small changes is effective as it helps reinforce the importance of focusing on the process of building healthy habits. Ultimately health is a habit if you aim to build up to eating healthily or exercising 70-80% of the time, what you do the rest of the time doesn’t have as big an impact on your success. So instead of wasting your willpower on restrictive and ineffective diets, focus on building a system of habits that work for you. 6. If everyone was to take one nugget of knowledge or top tip away with them today to help them get started on their wellness journey, what advice would you give them? · walking 50 more steps on your fitness tracker a day. These may seem like insignificantly small changes but cumulatively they can have a BIG impact on your long term success. For example; if your goal is to have a smaller size latte per day, this can result in… 50,000 less calories consumed per year. You can then work through ways to add to these small changes in a way that suits your lifestyle, slowly growing the combined effect that these changes can have, ultimately insuring your long term weight loss success. Having a system is what matters. Committing to the process makes a huge difference. The festive period can leave us feeling stressed, exhausted and in some cases burnt out. At Well Aware, we want to give you credible, accessible and realistic advice that you can easily implement into your everyday life to ensure you stay well and can thrive in all areas of life. That’s why we’ve collated a number of top tips from our team of experts to promote optimum health and wellbeing (both mental and physical) over Christmas without having to compromise on fun! Make ours a double - bottom's up! Alice’s favourite recipe - 1/2 banana, 2 handfuls berries, 1 large handful of kale, 1 dessert spoon of flaxseed, 4 walnuts and top up with kefir (everywhere now seems to stock this but try Ocado if you are struggling) or sugar-free almond milk. She also loves adding a scoop of something like Equi London Fundamental, baobab, raw cacao or spirulina for extra goodness, or even just a scoop of vegan protein powder and oats to stay satiated until lunch. Also great if you’re feeling worse for wear after a Christmas party! With it being the season of good will, Maggie Richards, Meditation and Mindfulness specialist suggests a tip a good friend gave her: “The next parties you go to, try focusing on making someone’s else night happier and more joyful. You’ll have a great time and so will they!” Short, sweet and effective! Suzy Reading, CPsychol, Health Division BPS, B Psych (Hons), M Psych, an accredited psychologist and the Queen of Self-Care coined the fantastic phrase Self-care is healthcare, meaning it’s not indulgent or luxurious to look after yourself, it’s essential, especially if you want to do well at work, be a good partner parent, sibling, friend etc. We have so many roles to play in life that taking time to invest in our wellbeing is vital if we can fulfil our potential. Suzy explains how “the pace of Christmas can feel frantic and relentless even when filled with joyful activity. As an antidote to all that busyness, carve some time for soothing your nervous system. Aim for some moments dotted through your day where there is an absence of stimulation - quiet, stillness, or time spent in Nature. It can be as simple as closing your eyes for 30 seconds, feeling the sensation of your breathing and releasing any physical tension you find. If you just can't find time to stop, then use a primer statement like 'I soften into this moment' - this can be equally helpful in making peace with stressful moments as well as savouring the blissful times. Laura Tilt, registered Dietitian, health writer and columnist for Women's Health magazine sheds some much needed light on how to avoid hangovers. December tends to be a time of late nights, high alcohol consumption and canapés! Laura explains, “office parties and afterwork drinks have a habit of starting on an empty stomach, which is the fastest route to hangover central. Food slows down the absorption of alcohol giving your body time to process it. This is the time eating something fatty is a good idea, as it will line your stomach. If a meal isn’t an option, try a slice of toast with peanut butter, or some nuts and a piece of cheese. The next best advice is to alternate each alcoholic drink with a glass of water to help you stay one step ahead of the headache. Short for Sleep, Water, Eat well, Exercise and Breathe. 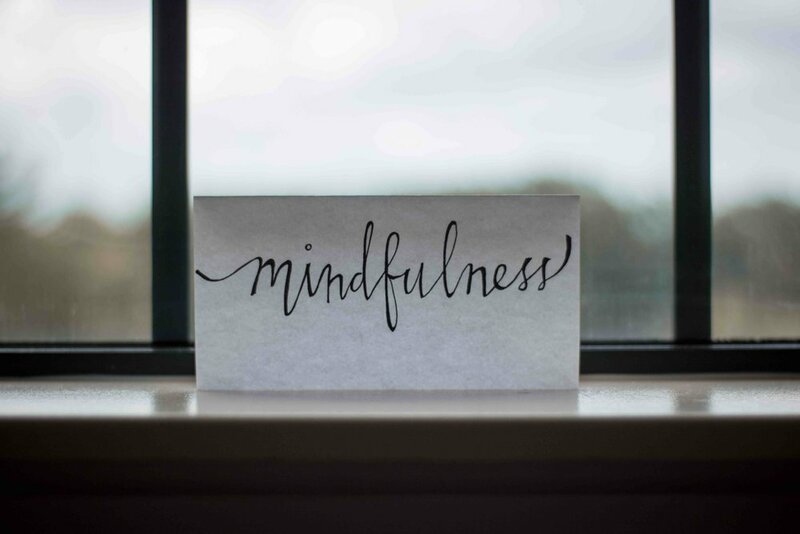 Coined by Executive and Careers Coach Anna Percy-Davis, SWEEBing incorporates all the key wellness tips into one handy phrase. Anna suggests “getting enough SLEEP when you can, drinking lots of WATER, EATing well and regularly, to EXERCISE even if its just a walk around the block at lunchtime and BREATHE - great big gulp-fuls, especially when you are feeling tired, stressed or overwhelmed! - easy to abandon these basic principles of looking after yourself at this time of year. Anna’s other key message would be to notice your self-messaging - if you tell yourself you are tired, too busy, overwhelmed, stressed, that is what you will be. Try to notice the fun stuff in the festive season - make it fun and enjoy it – it’s not a marathon to be endured, this is the Festive season! Know that this is just for a short period and it is GOOD (especially if you try to ensure some SWEEBing happens too!). If you can get your perspective right on all things relating to the festive season you have a better chance of enjoying this period and looking after yourself at the same time too. Life is for LIVING so be in the moment and be merry (whilst also ensuring you are looking after yourself enough to appreciate all the merriness around you!). We hope these tips are useful and will serve you all year round. Please share your progress with us and tag us on twitter and instagram @well_aware. 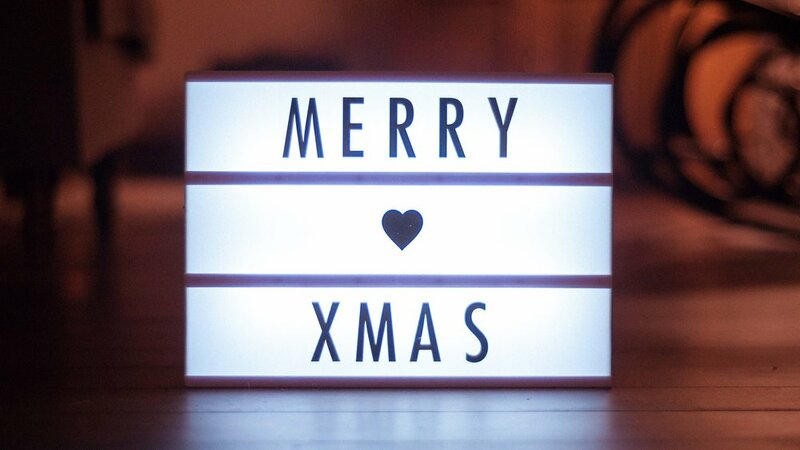 In the meantime, we wish you a happy, restful Christmas and New Year. Parkrun takes place every Saturday morning in eighteen countries across five continents. Each parkrun territory has its own sponsors. Events are run by volunteers, and participation is free of charge. 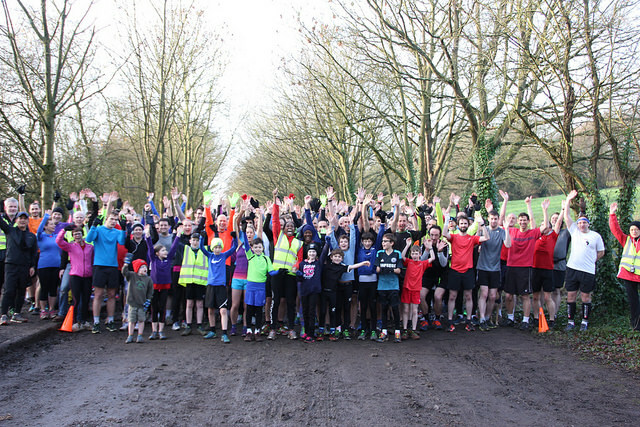 Parkrun is open to everyone, free, and are safe and easy to take part in. I was lucky enough to meet Paul earlier this year and he is one of the nicest people I have had the pleasure of meeting. Paul was presented the Runner's World 'Heroes of Running' award for philanthropy for his work with parkrun in 2009 and became a CBE in the Queen's birthday honours 2014 for 'services to grass roots sports participation.' A fantastic initiative that helps people get active for free whilst also enabling them to be part of a community, where do we sign up? Paul, you share the same philosophy as us about helping people to become healthier, and specifically in the case of parkrun helping people get active for free... how did parkrun come about? I started parkrun in 2004 because I selfishly wanted to make sure that I saw my friends every week. I was suffering depression at the time and felt the best way out of my negative situation was to regularly keep in touch with my running friends. The event itself in Bushy Park, Teddington was intended to be low-key and simple. These are still some of the founding principles that bind parkrunners across the world. And how many parkruns have now been set up around the world? 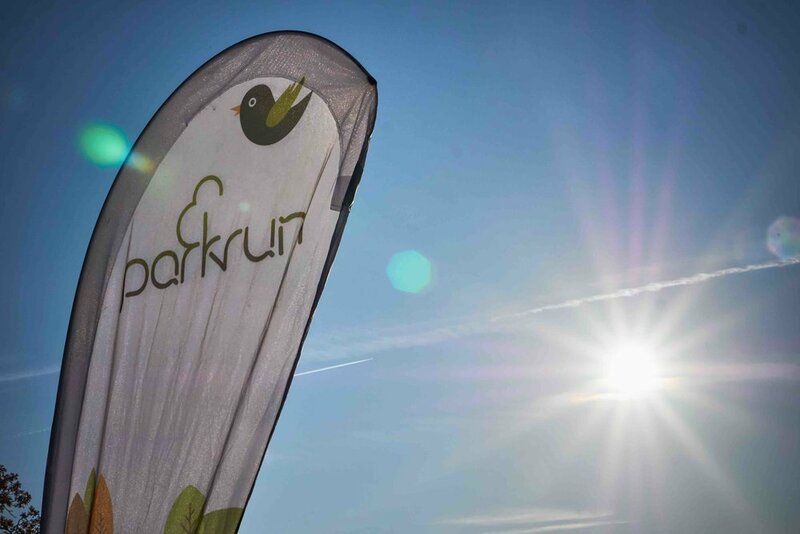 Thirteen years and a name change later, there are over 1,100 parkruns a week, in fourteen countries, with over three million registered parkrunners. A new parkrunner registers every 29 seconds. Our 2k junior parkrun is also expanding rapidly. What advice would you give to someone who wants to start exercising and being more active? When starting exercise for the first time it can often be difficult. Exercise if best when its regular and often. So the best advice is to try to make whatever you are doung fun an joyful. Starting out try to manage the effort so that you balance the joy with the effort. As you progress and as the excersize becomes a habit then you will find another gear and this will encourage you to try harder propelling you further towards your personal goals. Do you have any training tips who are about to embark on their first event? The great thing about parkrun is that no one needs to train for their first event. As you can walk, jog or run our events then everyone can achieve this without being trained. Some of our courses offer multiple laps which means that anyone struggling can opt out after one or even two laps. This also means that these folks can build up to completing the full 5k. And in terms of injury, do you have any tips you can give us? The best advice I can give is not to get injured in the first place. This is often easier said than done. If you are a beginner then the most common form of injury is probably an over-use injury. When folks are new to an activity or sport, they can get very excited about their progress and this can drive them to progress too quickly. My best advice is to take your time about progressing to the next level. Be happy with small increments in either speed or time and try to only change one important factor at any time (don't increase your speed and distance at the same time). The amazing community Paul has built. Kudos to all the parkrunners to date - a 5km run done before 10am on a Saturday! The best start to the weekend! We understand you took on the Two Oceans Ultramarathon, is that the hardest race you’ve done to date? Yes, probably. Whenever you step up to a new distance or when you try to run faster than you have done before then its likely to be difficult. The Two Oceans Marathon is 56k long and this was 10k longer that I had ever run before. Fortunately, its also one of the Worlds most beautiful marathon in the world and so the suffering was well worth it. Do you record your runs? If so, what app/piece of kit do you use? All my runs are recorded on Garmin and Strava. Strava is my favourite site for recording activity because not only does it provide the best information but its also a great social platform. Yes, everyone faces situations like this. When I am de-motivated, I will probably reduce the distance of my run and definitely the speed. I try to get outside because no matter what the weather you will find the countryside or parks motivating in their own right. If you do some activity/exercise on a regular basis in nice suroundings then you are likely to rejuvenate your motivation in the shortest possible time. And what do you eat to fuel up before and after a race? It depends on the race. For a short race I might not fuel at all. If the exercise extends beyond an hour then I will try to have muesli or porridge before the run. Who do you look up to in the health and fitness industry, whether it’s a runner, athlete or sporting professional? That's so difficult these days. What with all the unsportsmanlike doping going on it is very difficult to know who is a cheat and who isn’t. I think the Brownlee brothers might just be the athletes who we can all look up to with confidence. Olympic Park or Hyde Park? Today marks the first day of Self-Care week, an annual national awareness week that focuses on embedding support for self-care across communities, families and generations. This year’s theme is all about engaging and empowering people, something we wholeheartedly believe in at Well Aware. The strap-line for Self-Care week this year is Embracing Self Care for Life and what better way to mark this week and find out how to create some space for ourselves than with the Self-Care Queen herself, Suzy Reading. This week we are shining the spotlight on Suzy to find out her top tips for carving out 'micro moments of nourishment' in our ever increasing schedules. Briefly Suzy, can you tell our readers what you do? Where did it all begin and how did you get to where you are today? I’m a psychologist, yoga teacher, writer and corporate speaker – the one thread uniting all these roles is empowering people with the tools of self-care. My passion for this, while underpinned by all of my disparate studies, was really set into motion by my life experiences: motherhood coincided with the terminal illness of my father and for a time there, I really struggled. Self-care helped me claw my way back to vitality and now this is the toolkit I share with my clients; helping them to cope with and heal from stress, loss and change, boosting resilience in the face of future challenges and enabling them to become the people they aspire to be. ~ Self-care needn’t be grand, elaborate, expensive or time consuming. Be on the lookout for ‘micro moments’ of nourishment that allow you to de-stress, soothe, energise or focus in an instant. Think along the lines of music, scent, movement, physical softening of tension, a mantra or just being with your breath. ~ Be clear on what self-care really means. Self-care is nourishment for your head, heart and body. It delivers what you need right now in this moment, AND it also nourishes the person you are becoming, your future self. This is a useful distinction to make. One glass of wine savoured in the evening might be self-care but more than that, leading to a late night, and you’re future self won’t be thanking you. Don’t confuse self-care with pampering either. Sometimes self-care is gentle, soothing and relaxing, sometimes it is going for that run that you really don’t fancy. Sometimes it is taking an honest look at emotional baggage you’re lugging around. Self-care is not always comfortable but it always takes you closer to the person you aspire to be. ~ Be proactive and write out your self-care toolkit so it’s there at your fingertip reach when you most need it. When we are stressed, self-care often drops away because we are fatigued, frazzled, time poor and our usual means of replenishment become unavailable to us. We are also at our least creative and resourceful in coming up with new, accessible options. Writing out a broad toolkit of soothing, healing and energising practices that resonate for you is like forming a psychological contract with yourself, helping you take swift action and get back on track sooner. I give lots of inspiration for self-care activities in my book and my instragram account @suzyreading. ~ If self-care feels indulgent, ask yourself, what have you got if you don’t have your health? Two mantras for you: ‘self-care is health care’ and ‘it’s not me first, its ME AS WELL’. Please nourish you! When we tend to ourselves with love and care, we are all calmer, kinder, more compassionate people – it is the ultimate win win! At Well Aware, we are all about helping our clients make long-term positive changes to their health by encouraging small changes to your daily habits over a prolonged period of time. Are there any things you incorporate into your daily routine to boost your mental and physical health? Before I get out of bed, I think of one thing I am looking forward to it my day. This always cultivates a feeling of zest. I spritz my Neom Organics ‘Feel Refreshed’ room spray and take 6 yoga mountain breaths, repeating a mantra that cultivates how I want to feel. It can be as simple as ‘I am ready’. I choose an outfit, colour, piece of jewellery or swoosh of lippy that I love and I hit the ground running, feeling nourished and present. My mantra is ‘sleep for sanity’… I revere sleep so I have a strong ritual to unwind in the evening. It’s a digital detox for at least 30 mins prior to bed, some soothing yoga poses on the floor, like childs pose and pigeon to disentangle my body from the busyness of my day. I might journal with a braindump if my mind is still whirring or do a gratitude exercise if my mood is subdued. Reading Psychologies Magazine is another way of focusing my mind on something constructive. I use a magnesium oil spray that definitely promotes better sleep and lastly my favourite Neom Organics pillow spray has me floating off to sleep. As specialists in workplace wellbeing, one of the common issues we get asked about is sleep… do you have any tips on this? Yes! Design your own pre-bedtime ritual and cultivate a positive relationship with sleep. It can be as simple as wearing PJ’s you love or using the 4/7/8 breathing technique when your head hits the pillow. Most adults need 7 – 9 hours sleep to function well so get to know your sleep needs, give sleep the priority it deserves and get some decent shut eye! Just about every aspect of health is improved when we are well slept, so think of it as time well spent. I think my favourite tip is to get clear on who you want your future self to be. What would they say, how would they move, what choices would they make. How does it feel to be in their skin? I love cultivating a relationship with my future best self. I ask, what would she do? Every time I make that choice I know I am taking a step closer to being this incarnation of myself. Tune in with yours and you’ll find great wisdom, resolve and a healthy dollop of self-compassion there! 1. Coffee or tea? – a savoured cup of coffee in the morning, green tea in the afternoon and a soothing herbal blend to unwind in the evening. Suzy's first book ‘The Self-Care Revolution’ published by Aster, is due out 28th December 2017 and available for pre-order now.